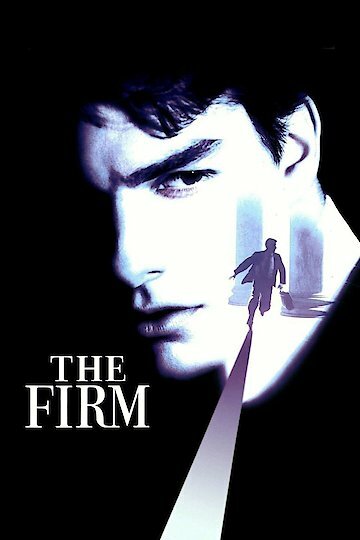 The movie The Firm stars Tom Cruise, Jeanne Tripplehorn, and Gene Hackman in a fast pace thriller. Cruise plays a hard working law student that is recruited by an Atlanta law firm. The Firm gives him all the financial gifts that a hardworking and poor law student could ask for. Tripplehorn plays Cruise's wife in the film; she follows her husband to Atlanta and enjoys all the gifts that The Firm gives the couple. The neighborhood that the couple lives in is very different than the couple is used to. Everyone is very friendly, but more importantly they are very dependent on The Firm. Hackman is Cruise's mentor, but he also is to aid The Firm with Cruise's integration into The Firm. Cruise discovers The Firm's dirty secrets and is set upon an action packed adventure to protect himself from the secret The Firm has worked so hard to hide from the rest of the world. The Firm is currently available to watch and stream, buy on demand at Amazon, Vudu, Google Play, FandangoNow, iTunes, YouTube VOD online. Lucas will play Mitch McDeere, ten years older, a little bit wiser, and still in the same old trouble. The show will pick up ten years after the film ended, and find Mitch emerging from the witness protection program he's been in since working with the FBI to reveal his firm's (yes, THE firm) mob connections.